Three elite soldiers from the U.S. Army Parachute Team were injured early Tuesday morning during a training accident at Homestead Air Reserve Base in Homestead, Florida, according to the Army. A U.S. defense official told ABC News that two of the soldiers are in "very serious condition," with the third soldier in "serious condition." They were being treated at Jackson Memorial Hospital's Ryder Trauma Center in Miami. 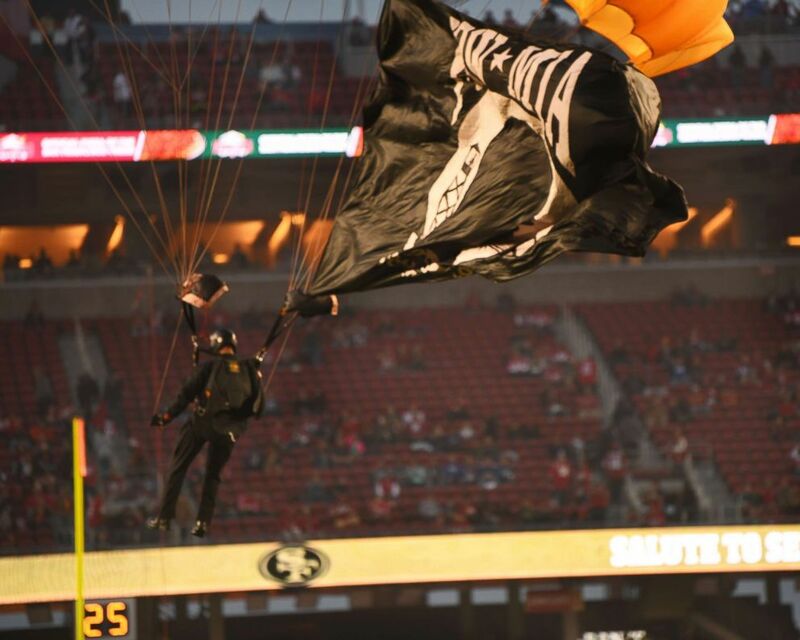 The U.S. Army Golden Knights Parachute team from Fort Bragg, N.C., jump into Levi's Stadium prior to the San Francisco Forty-Niners and New York Giants Monday Night Football game in Santa Clara, Calif., Nov. 12, 2018. 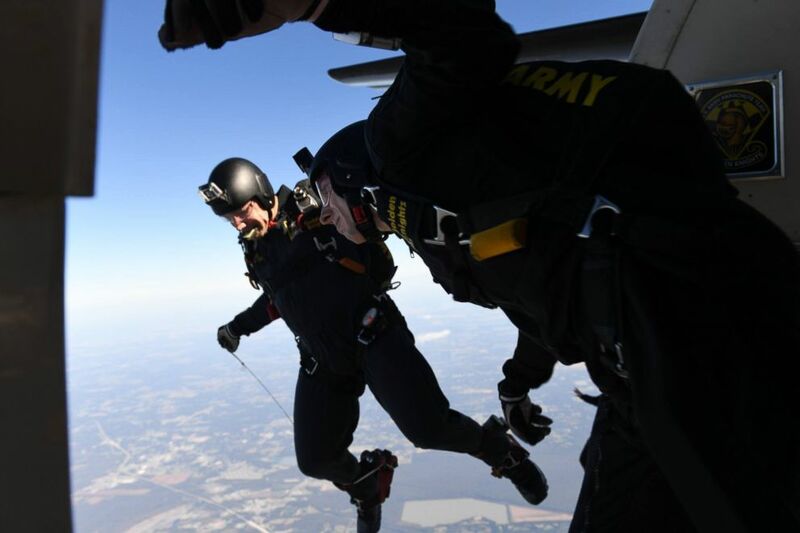 The soldiers are members of the Golden Knights, the Army's competitive skydiving team that frequently does demonstrations at sporting events and air shows. While based at Fort Bragg in North Carolina, the team conducts its winter training at Homestead from mid-January to mid-March. A member of the U.S. Army Golden Knights jumps out of a UV-18C during an aerial performance for the Thunder Over the Rock Air and Space Show at Little Rock Air Force Base, Ark., Oct. 27, 2018. In the last ten years, there have been five serious incidents related to on-duty training accidents involving the Golden Knights, the official said. The most recent was in 2015 when Golden Knight Sgt. 1st Class Corey Hood collided with another military parachute jumper at the Chicago Air and Water Show, ultimately succumbing to his injuries. Of the five serious incidents, Hood's was the only death. Adding together all the team member's jumps, the Golden Knights average about 10,000 jumps per year, the official said.